Caption slip reads: "Photographer: Gray. Date: 1960-02-10. Reporter: Farrell. Assignment: Coors. 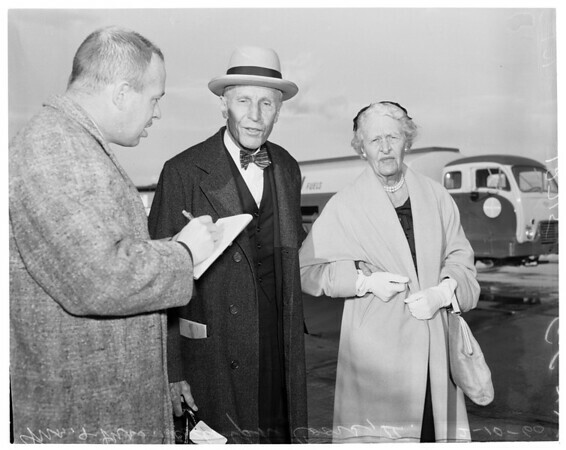 Mr. & Mrs. Adolph Coors II arrive L.A. en route Denver from Honolulu. His son is supposed to have been kidnapped."